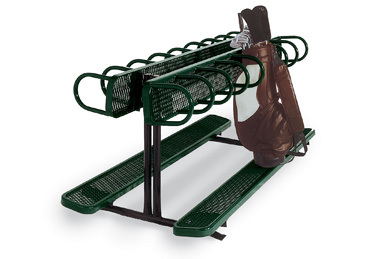 The UltraCoat 8′ golf baf stand is available with or without a bench. The 110 golf back holder has a 16 -bag capacity, while the 115 has an 8-bag capacity with bench. Both are portable and/or surface mount. 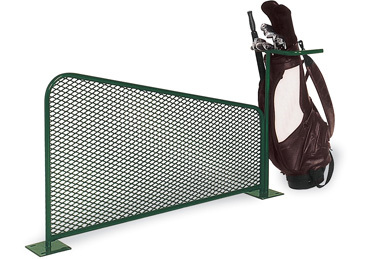 The UltraCoat tee/driving range dividers are designed for safety to deflect golf balls. The range divider is available as inground or surface mount.